The Office of Dispute Resolution (ODR) was created as part of the 1991 Dispute Resolution Act which also created the six regional mediation centers. 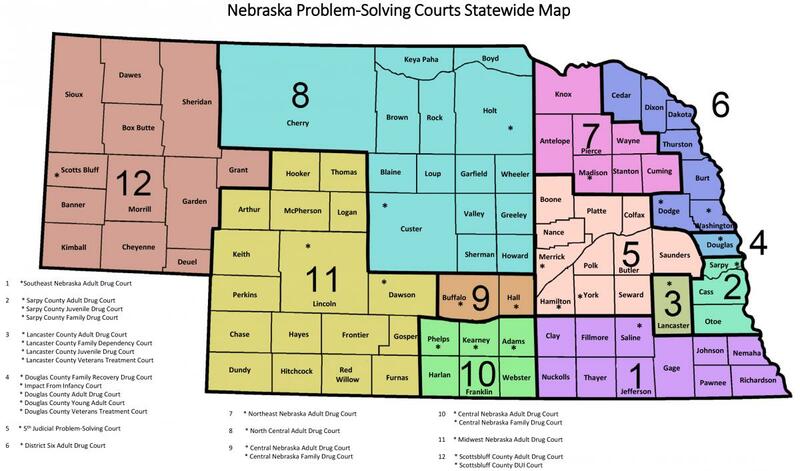 Mediation is available in all 93 counties of Nebraska and is a helpful problem solving process that empowers disputing parties to prioritize and express their wants and needs in order to arrive at a mutual agreement. ODR partners with the six non-profit ODR-Approved Mediation Centers in Nebraska and the Douglas County District Court Conciliation and Mediation Office to serve Nebraska’s 93 counties. With the support of ODR and other state, local, and private funding the centers are able to provide a variety of services to the citizens of Nebraska. Use the menu on the left to find out more about these different services. There are many benefits to mediation, such as parties keep control over the outcome of their own problems and the process considers their feelings as well as facts with the assistance of an unbiased mediator. Also, mediation allows issues to be settled promptly with sessions scheduled as soon as all parties agree to come to the table. Furthermore, mediation is private, confidential and flexible. Attorneys, advocates, and others may participate in the sessions. Consider the use of meditation when a long-term relationship is involved (i.e. family members, landlord/tenant, parent/child/school, etc. ), where parties have a desire to work through the problem and are able to safely communicate on some level. In some cases, such as when it is important to set legal precedent or a need for public sanctioning of conduct, mediation may not be effective. To become more familiar with the types of cases mediated and other services please contact an ODR-approved mediation center and/or a private mediator. To make an informal referral to mediation, judges or court staff may provide the mediation brochure for the centers and ODR to parties. Parties and lawers may not have heard of mediation before, so, it is helpful to describe why mediation is being encouraged. Courts may consider and encourage potential litigants to consider mediation as an option prior to filing, as well as during the pendency of the case and after final judgment or order. When a judge refers a case to mediation by use of a court order, a copy of the order should be faxed or sent to the regional mediation center. The order should state whether the parties or the center are to make initial contact, and how the outcome of the mediation is to be reported back to the court. Courts should establish presumptive deadlines for the mediation process which may be extended by a showing of the parties that a continuation would assist resolution. More detailed information may be found by reading Nebraska Mediation and ADR Handbook for Judges and Court Staff. The Nebraska Mediation Association (NMA) is a statewide network of mediators which develops, implements, and sustains quality conflict resolution, mediation, and consensus building. The NMA promotes mediation, and supports and provides training and educational opportunities for all mediators in the State of Nebraska. Through this member network, NMA provides links, resources, and enhanced opportunities among mediation professionals. For further training information, visit NMA's website. The Office of Dispute Resolution does not directly work with private mediators, with the exception of Parenting Act Mediators, but will respond to basic questions in the field. Persons involved in private practice of mediation should be familiar with state statutes and court rules regarding mediation, as well as relevant professional codes of ethics regarding the practice of mediation. Private mediators may also contact the Nebraska Mediation Association for more information. Have you taken training and are interested in mediating cases? Contact your local Nebraska ODR-approved Mediation Center to find out how to become an affiliate. Find contact information for the mediation centers on the ODR-Approved Centers and Douglas County District Court Conciliation and Mediation Services page.